Sociální pedagogika | Social Education (SocEd) je recenzovaný odborný časopis typu peer-reviewed. Vznikl 27. 3. 2013 za účelem podpory výměny informací mezi odborníky v oblasti sociální pedagogiky. Časopis vydává dvě elektronická čísla ročně, vždy 15. dubna a 15. listopadu a poskytuje bezplatný přístup ke svým webovým stránkám. Partnerem časopisu je Pedagogická fakulta Masarykovy univerzity v Brně. Časopis je platformou pro rozvoj sociální pedagogiky jako vědní disciplíny. Uveřejňuje teoretické a empirické studie o probíhajících a ukončených výzkumech, recenze knih a informace o vědeckých aktivitách z oblasti sociální pedagogiky. Časopis je umístěný na Seznamu recenzovaných neimpaktovaných periodik vydávaných v ČR a dále je zařazený v následujících databázích: ERIH PLUS, Educational Research Abstracts Online ERA (Taylor & Francis), EBSCO Education Source, CEJSH, ProQuest Education Journals, ProQuest Social Science Journals, Ulrich’s Periodicals Directory, Google Scholar, SSRN, DOAJ, ROAD, SHERPA/RoMEO, The Keepers Registry, ResearchGate, Academia.edu, Academic Resource Index, CEEOL, OAJI a v SIS databázi. Střednědobým cílem je indexování časopisu v databázi Scopus a Thomson Reuters Emerging Sources Citation Index (ESCI). Časopis poskytuje DOI, Similarity Check a CrossMark (CrossRef) k recenzovaným textům. Aktuální a předchozí vydaná čísla naleznete na úvodní stránce časopisu, v archívu nebo kliknutím ZDE. Spolupracovníci časopisu – veřejný seznam recenzentů spolupracující s časopisem. The leading university exclusively focused on health, UC San Francisco is driven by the idea that when the best research, the best education and the best patient care converge, great breakthroughs are achieved. UCSF is a collection of dedicated scientists, clinicians, students and staff who share a common drive to make the world a better place by advancing health and the human condition. Care and compassion are as critical as science and discovery in fulfilling our mission to drive change, and make a difference for individual patients and whole populations. UCSF is also San Francisco’s second-largest employer – attracting talented faculty and staff who mirror the energy and entrepreneurial spirit of the Bay Area. The most exciting part of being at UCSF is its diverse community of people who individually contribute to changing the status quo with their diverse backgrounds, experiences and perspectives. Ability to recruit top talent leads to a constant influx of new ideas and approaches across each of UCSF missions: research, patient care and education. The Department of Teacher Education and School Research aims through research to sustain and further develop its position as a leading academic milieu in Norway in the fields of teacher education, subject didactics, educational leadership and school relevant educational research. Research at ILS is mainly centred around main areas of research which are maintained by research groups. The research groups consist of senior researchers, Post. Doc. Research fellows, Ph.D research fellows and assistant Professors. In addition to research carried out in the research groups, the Department has a number of researches in the forefront of school relevant educational research. East China University of Science and Technology (ECUST) is located in the southwest of Shanghai, a center of commerce, finance, trade and shipping of China. Founded in 1952 and previously named as East China Institute of Chemical Technology, ECUST is the first national key university featuring chemical engineering disciplines in China; State-run and full-time institutions of higher education; Research-oriented national key university directly under the Ministry of Education of China; One of the 13 Chinese key engineering universities; One of the National “211 Project” key construction universities; National “985 Project” Advantages Discipline Innovation Platform for high-level universities. ECUST devotes itself to develop international cooperation and has established long-term and extensive academic exchanges and joint training cooperation with more than 180 universities, colleges, enterprises and research institutions from all over the world, including the United States, Germany, Britain, France, Japan, Canada, South Korea, Australia, etc. PLNU exists to provide higher education in a vital Christian community where minds are engaged and challenged, character is modeled and formed, and service is an expression of faith. Being of Wesleyan heritage, we strive to be a learning community where grace is foundational, truth is pursued, and holiness is a way of life. In addition to more than 60 undergraduate areas of study, PLNU offers graduate and degree completion programs on several campuses in San Diego County and Bakersfield. PLNU serves more than 3,500 students. PLNU, established in 1902, is a Christian liberal arts institution. The university was founded by Phineas Bresee, primary founder of the Church of the Nazarene. The University of Sydney is an Australian public research university in Sydney, Australia. Founded in 1850, it is Australia’s first university and is regarded as one of the world’s leading universities. It is ranked as the world’s 50th most reputable university. Its graduates are additionally ranked the 4th most employable in the world and 1st in Australia. The university comprises 16 faculties and schools, through which it offers bachelor, master and doctoral degrees. In 2014 it had 33,505 undergraduate and 19,284 graduate students. The university is colloquially known as one of Australia’s sandstone universities. Its campus is ranked in the top 10 of the world’s most beautiful universities by the British Daily Telegraph and The Huffington Post, spreading across the inner-city suburbs of Camperdown and Darlington. Five Nobel and two Crafoord laureates have been affiliated with the university as graduates and faculty. The university has educated seven Australian prime ministers, two Governors-General of Australia, nine state governors and territory administrators, and 24 justices of the High Court of Australia, including four chief justices. Sydney has produced 110 Rhodes Scholars and several Gates Scholars. 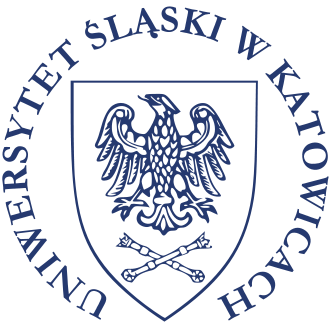 Kazimierz Wielki University in Bydgoszcz is a dynamically developing school of higher education, today the largest in the city and the second largest in the Kujawsko-Pomorskie Province, both as for number of professors, number of majors and educational forms offered and the number of students and graduates. Over 700 academic staff members share their knowledge, including about 150 professors. Today a rich educational range of studies covers 30 majors at three levels: bachelor and bachelor in engineering, master and doctoral studies. The university also provides over 30 postgraduate courses, developing qualifications and conferring new rights. Step by step new majors are approved by the Polish Accreditation Committee. Over the last few years our University has offered education to about 5 thousand newly admitted students annually. Only 1/3 of all students live in Bydgoszcz, with its population of about 400 thousand, and over 1/3of students come from outside the Kujawsko-Pomorskie Province. 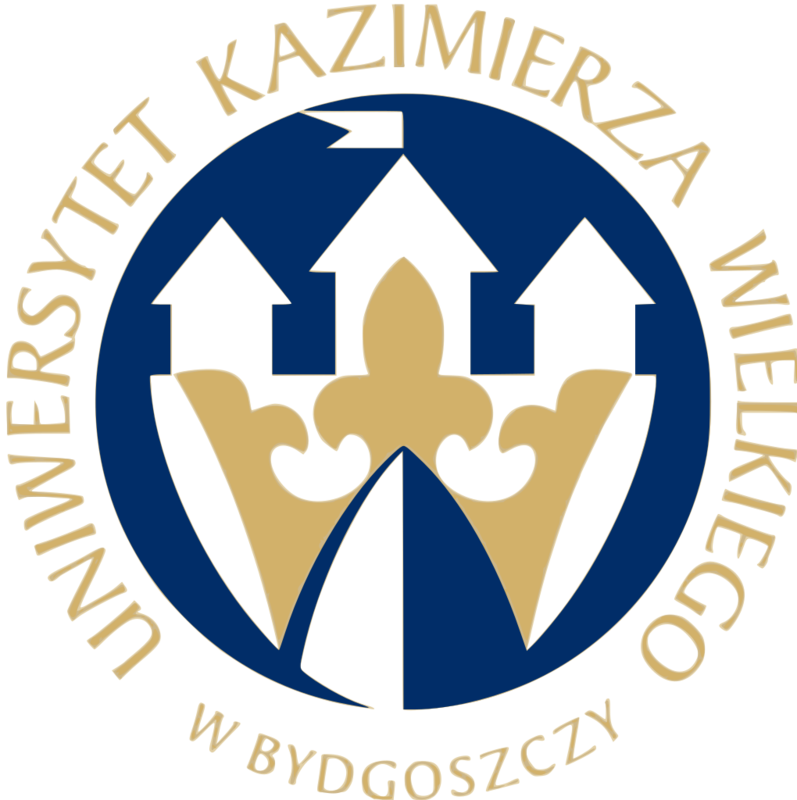 Kazimierz Wielki University has a greater and greater impact on the region and the surrounding provinces. Western Sydney University is one of Australia’s leading institutions. Ranked in the top 400 in the world, illustrating the University’s growing reputation for producing research of Australian and international importance. The university in its current form was founded in 1989 under the terms of the University of Western Sydney Act, 1988, which created a federated network university with an amalgamation between two trade schools – Nepean College of Advanced Education and Hawkesbury Agricultural College. The Macarthur Institute of Higher Education was incorporated into the university in 1989, and in 2001 the University of Western Sydney was restructured as a single multi-campus university rather than as a federation. 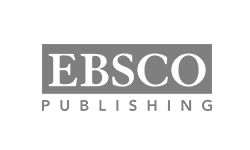 In 2015, the university underwent a rebranding which resulted in a change in name from the University of Western Sydney to Western Sydney University. The International Journal of Social Pedagogy (IJSP) is a peer-reviewed, open access journal publishing articles on social pedagogy in the broadest sense, which includes all aspects of social, philosophical, pedagogical and educational parameters. IJSP considers it critically important to provide a platform for dialogue between theory and practice. It therefore encourages both original contributions about theory and research in social pedagogy and articles that reflect social pedagogical perspectives in practice settings throughout the United Kingdom and globally. You can access IJSP here. Sociální pedagogika | Social Education (SocEd) je recenzovaný odborný časopis typu peer-reviewed s otevřeným přístupem, který poskytuje prostor pro vydávání odborných studií z oblasti sociální pedagogiky. Cílem tohoto časopisu je poskytnout platformu pro vědce a akademiky z celého světa, aby podporovali, sdíleli a diskutovali nové problémy a vývoj v různých oblastech sociální pedagogiky. Časopis pojímá sociální pedagogiku v širokém rámci jako oblast zkoumající sociální aspekty výchovy a rozvoje dětí, mládeže a dospělých. Sociální pedagogika je interdisciplinární věda, která spolupracuje se širokým spektrem dalších disciplín. Pokud jde o studie, časopis je otevřen různým teoretickým koncepcím a metodologických preferencí (kvantitativní, kvalitativní, smíšený design), pokud přinášejí nové výsledky a zajímavé pohledy. Vydávání recenzovaného odborného časopisu typu peer-reviewed vyžaduje neustálou práci, odpovědnost a spolupráci od všech zúčastněných stran: autorů, výkonných redaktorů, recenzentů, redaktorů studií, redaktorů recenzí a informací a členů redakční rady. Všichni redaktoři mají odpovědnost za sledování publikační etiky a udržování academic rekord. Výkonný redaktor je odpovědný za ověřování studií a kontrolu podvodných údajů nebo plagiátorství. Úkolem členů redakční rady je udržovat nejvyšší možné standardy publikování: dobrou kvalitu a originalitu výzkumných studií a v případě potřeby také korekce, vyjasňování a odvolání. Všechny obdržené studie podléhají přísnému oboustranně anonymnímu recenznímu řízení. • Recenzenti studií jsou členy redakční rady a externí spolupracovníci časopisu. Recenze knih a informací jsou posuzovány redaktorem recenzí a informací. • Pro kontrolu textu je využíván antiplagiátorský program Crossref Similarity Check. Autoři by měli zveřejňovat všechna zdrojová data užitá při výzkumu, a to jak ve formě odpovídajících citací, tak ve formě vložení použitých nástrojů do příloh (slouží především k posouzení textu v rámci recenzního řízení, nemusí být tedy součástí publikované studie). • Časopis používá CC BY licenci. Tato licence opravňuje ostatní (širokou veřejnost) k šíření, upravování, vylepšování a vytváření dalších děl na základě autorského díla, a to i komerčně, pod podmínkou, že uvedou autora původního díla. Tato licence je doporučená pro maximální sdílení a využívání licencovaných materiálů (více zde). Principem je neomezený online přístup k vědeckým informacím, který zajišťuje auto-archivace článků v otevřených časopisech (open access). • Zamítnuté studie nejsou dále přezkoumávány. • Autor (autoři) prohlašuje, že předkládá originální studii, která nebyla v této podobě nikdy zveřejněna nebo nabídnuta k publikování jinde. Plagiátorství ve všech svých podobách je neetické a nepřijatelné. • Autoři prohlašují, že všechna data zveřejněná ve studii jsou reálná a autentická. • Autoři by měli své studie upravit dle doporučení recenzentů. • Před samotným uveřejněním studie se mezi autorem a vydavatelem (FHS UTB ve Zlíně) uzavírá licenční ujednání o poskytnutí výhradní licence. Autorovi není povoleno zveřejnit studii v dalším časopise nebo jiných médiích bez písemného souhlasu vydavatele. • Po dokončení recenzního řízení jsou autoři rukopisů vyzváni k udělení souhlasu s jeho publikováním. Nevyjádří-li se autor studie k obdržené verzi rukopisu do 7 kalendářních dnů, je vyjádření autora bráno jako souhlasné. • Se všemi obdrženými rukopisy je nakládáno jako s důvěrnými dokumenty. • Recenzenti by měli upozornit na publikované práce, které nebyly autorem řádně citovány. • Hodnocení recenzentů by mělo být provedeno objektivně, připomínky by měly být formulovány jednoznačně s podpůrnými argumenty, které poslouží autorovi ke zkvalitnění textu. • Recenzenti by měli upozornit redakci na podstatné podobnosti mezi recenzovaným rukopisem a jinými zveřejněnými pracemi. • Recenzenti nemohou posuzovat rukopisy, ve kterých by se dostali do střetu zájmu, které vyplývají z konkurence, spolupráce, nebo jiných vztahů či spojení s některým z autorů nebo institucí spojených s textem. • Redaktoři rozhodují, které z předložených textů budou zveřejněny. 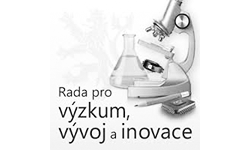 • Redaktoři jsou odpovědni za obsah a celkovou kvalitu časopisu (academic merit). • Redaktoři rozhodují na základě oboustranně anonymního recenzní řízení. • Redaktoři zveřejňují pouze ty články, které prošly anonymním recenzním řízením. • Redaktoři nesmí využívat nepublikované texty pro své vlastní výzkumné potřeby bez výslovného písemného souhlasu autora. Na neetické jednání lze upozornit redakci nebo členy redakční rady kdokoli. Šetření bude realizováno s konkrétní osobou, na kterou se podezření vztahuje, a budou informovány pouze bezprostředně zainteresované osoby. Konečné rozhodnutí vydává redakce časopisu na základě jejího uvědomění, popř. v případě závažnějších prohřešků také redakční rada na mimořádném, nebo pravidelném ročním setkání. Redakční rada jako orgán projedná podklady k danému případu a rozhodne o daném případu. Při nejbližším zasedaní redakční rady vysvětlí své rozhodnutí. V případě pochybností může redakční rada hlasováním zpětně zrušit rozhodnutí redakce. Osobám obviněným z neetického jednání bude poskytnut prostor pro vyjádření svého stanoviska a to nejpozději do 15 kalendářních dnů od chvíle oslovení redakcí. • Autor nebo recenzenti budou elektronickou a duplikovanou písemnou formou informováni o porušení etických norem časopisu. • Stažení příspěvku z časopisu. • Uvalení časově ohraničeného zákazu spolupráce s určitým autorem / recenzentem po dobu 2 let. • Uvedení informace o etickém pochybení a neetickém jednání v Editorialu aktuálně připravovaného čísla (obecně, nikoliv s konkrétním jmény nebo s uvedením afiliace autorů / recenzentů). Takto stanovená publikační (autorská) etika a způsoby její řešení je v souladu s doporučením Komise pro publikační etiku (COPE).